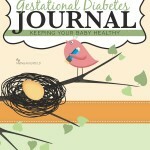 Gestational diabetes is a condition in which a pregnant woman’s blood sugar levels get elevated. It is important to keep your gestational diabetes blood sugar levels in check in order for both you and your baby to stay healthy and to avoid complications during delivery and later on in life. Normally, gestational diabetes is diagnosed late in the pregnancy, usually between weeks 24 and 28, because this is the time when symptoms become apparent. Obstetricians employ routine screening for gestational diabetes, like the initial glucose challenge test and the glucose tolerance test, in order to diagnose the condition and check your blood sugar levels. As previously mentioned, there are two ways to determine if you have high gestational diabetes blood sugar levels. These tests involve checking your blood to see if the glucose levels are within acceptable range. The first test would be the initial glucose challenge test, in which you will be asked to drink a syrupy glucose solution. An hour after drinking it, a blood sample will be extracted in order to measure your gestational diabetes blood sugar levels. If your blood sugar levels are below 130 to 140 milligrams per deciliter (mg/dl), you don’t have gestational diabetes, since this is the normal range for gestational diabetes blood sugar levels. However, if your blood sugar levels are higher than those values, it does not automatically mean that you have gestational diabetes. It only means that you have higher risk of developing gestational diabetes, and a second confirmatory follow-up test is necessary. The second and confirmatory test for determining gestational diabetes blood sugar levels is known as the glucose tolerance test. For this test, you will be asked to fast overnight before your blood sugar levels will be measured. During the day of the test, you will again be asked to drink a syrupy glucose solution, but this time with a higher concentration of glucose. Your gestational diabetes blood sugar levels will then be checked every hour for a period of three hours. If at least two blood sugar readings are higher than the normal range, you will then be diagnosed as having gestational diabetes. The normal gestational diabetes blood sugar levels are below or equal to 95 mg/dl or lower for fasting, 180 mg/dl after one hour, 155 mg/dl after two hours, and 140 mg/dl after three hours. Management of blood sugar levels throughout pregnancy is important to avoid any complications. This can be done through eating a balanced diet and cutting back on foods that are high in sugar. Physical activity is also necessary during pregnancy to maintain healthy gestational diabetes blood sugar levels, although strenuous exercise should be avoided. It is also important to monitor your gestational diabetes blood sugar levels to make sure that your treatment plan is effective. This can be done through the use of blood glucose meters. For those who have uncontrollably high gestational diabetes blood sugar levels, insulin treatment may be needed. You also need to regular follow-up checkups with your doctor to make sure that you maintain normal gestational diabetes blood sugar levels.